Haven’t you heard the news as yet? I was working in the NRI Division of ANZ Grindlays Bank at 10 E Connaught Place in New Delhi in 1991. It was a regular day at the office, business as usual, men at work and everyone pretending as if the world survived thanks to their inimitable dexterity. Bankers are ( were???) pregnant with hubris. Outside, the mercury rose with a determined resolve, unrelenting in its searing intensity. But by afternoon, the weather outside had begun to subtly change, before suddenly assuming extraordinary proportions. Quite dramatically. The scorching sun had given way to one of Delhi’s typical summer dust-storms which enveloped the city in a thick dark particle-infested smog-like cloud. By late evening , we were experiencing heavy thundershowers accompanied by fiery lightning in sporadic bursts. It seemed like the heavens above were experiencing some serious warfare. The gods indeed were expressing a peculiar ire. 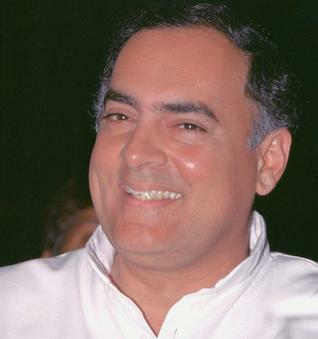 The bitterly-contested election campaign of 1991 was drawing to a close, and there were newspaper reports that former Prime Minister Rajiv Gandhi was occasionally flying his small plane himself, the private passion of a former Indian Airlines pilot. Although I had read that he was campaigning down in southern parts of India , I sincerely prayed that he was not up in the sky above Delhi that evening in his miniscule aircraft as it would be highly unsafe given the rough weather conditions. I reached home about 7 pm that evening and tuned into Doordarshan to find that Rajiv Gandhi was indeed wrapping up the national campaign in Madras (Tamil Nadu) that night. I was hugely relieved. But the deep sense of an unnerving premonition was disconcerting. It lingered momentarily, but soon I moved on. I was a big Rajiv Gandhi fan; for many in our generation, Rajiv Gandhi was India’s new hope , who inspired you into believing that we would be in able hands under his stewardship. In short, he was India’s lodestar. Although he had taken charge under tragic circumstances on the ghastly night of Mrs Indira Gandhi’s assassination in 1984, he brought in a breath of fresh air with his bold, pragmatic, breakthrough statements and actions before some calamitous errors had brought that golden honeymoon period to an abrupt halt. But the two years under the opportunistic VP Singh-led alliance had been disturbing, and during their reign the country looked liked it was drifting into complete chaos , lacking in direction and going nowhere under their shibboleths of social emancipation . 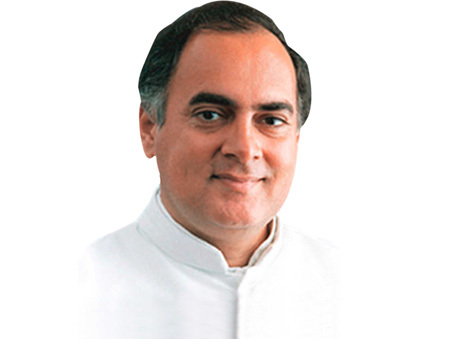 Initial opinion polls indicated that the Congress would reemerge as a leading political force and that Rajiv Gandhi would be Prime Minister once again. We were indeed very excited. Then late in the night as I prepared to sleep the telephone rang. And everything changed. This poem was written over a decade back and is an extract from my book When I Wondered About You , published in 1999. Very very moving sir.. U am getting goose bumps sitting in the office.. Unfortunately I share my birthday with his martyrdom day . All citizens of the country have the right to enroll in the Army and merit will remain the sole criterion for selection. For all those discharged from Army, efforts will be made to rehabilitate and provide gainful employment. Ex-gratia payment to victims of Militancy. The economic policies adopted by Rajiv Gandhi were different from his predecessors & against the traditional socialism, Rajiv Gandhi decided to improve the mutual relationships with the United States of America and subsequently expanded the economic and scientific cooperation with USA. A new foreign policy, emphasizing on the economic liberalization and information and technology moved India closer to the developed World. His laudable measures to reduce the “Red Tapism” and allow business house to set up their establishments were enlightening and remarkable. In 1986, Rajiv Gandhi announced a National education policy to modernize and expand higher education programs across India. 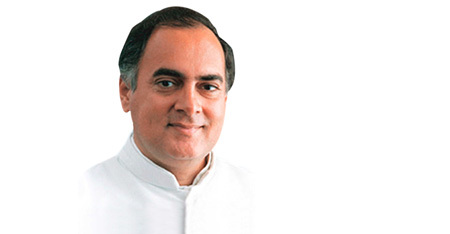 Rajiv Gandhi brought a revolution in the field of information technology and telecom. The idea helped in originating the Mahanagar Telephone Nigam Limited, popularly known as MTNL. Rajiv Gandhi was the man to transcend telecom services to the rural India. A very tragic & heart-rending death snatched a true visionary & action oriented leader from India. Thank you for highlighting & making us remember the achievement of Rajieev Gandhi. Only regret is that he is not alive to turn around this great nation to it’s rightful glory.Your research is commendable Mishraji! Thank for keeping his memory alive! Beautiful “Shradhanjali” to one of the most able,loved,liked almost adored ambassador of humanity & the poor & also one of the best PMs ever in Indian history(In spite of the nerds barking) dedicated by a man i respect.You really moved me Sanjay and must have touched a lot of hearts.Love u for bringing that tingling sensation that we belong to the Nation & party of Rajieev Gandhi & his mother whom many of us miss in the present scenario. Thank You, Keep up the good work!